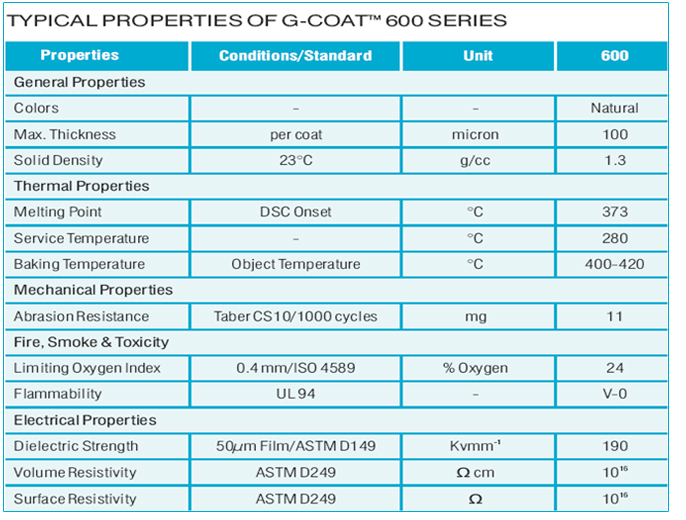 G-COATTM 600 is fine powder suitable for electrostatic coating available where higher thickness coatings are required, where difficult geometries must be coated, and in instances where enhanced properties such as release are required. These grades have been specifically formulated for electrostatic powder coating, to provide a higher thickness build-up in single coat, excellent wear, and abrasion resistance with very good chemical resistance. We are committed to developing innovative and economically viable solutions for the need of your industries through novel technologies. Together we can find the right solutions to secure a stronger, smarter & safer future. Contact us to learn how G-COATTM – Surface Coating can be used to produce lighter, faster and safer products.